Thank you to Disney for this amazing vacation and opportunity for our family. All thoughts and opinions are my own. Come along with us as we share our experiences and Tips for Taking Young Kids to Walt Disney World® Resort. Hi friends! 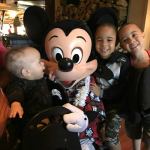 This year my family and I had the awesome opportunity to head to Walt Disney World® Resort! If you haven’t already, you should check out how we shared the news with our kids with our Walt Disney World® Vacation Reveal! 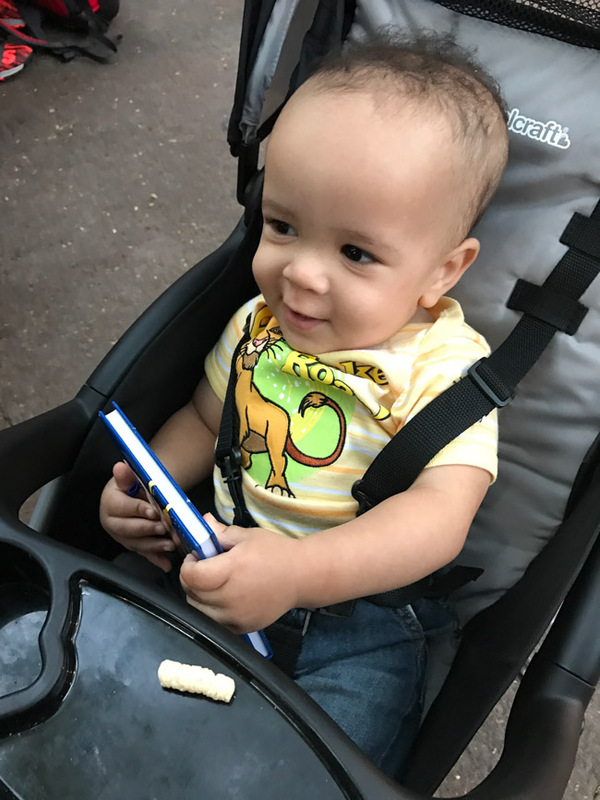 We had been once before with our oldest two, but this was the first time our new little guy Adrian had the chance to go with us. And we were so excited! 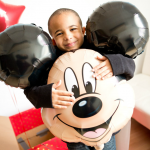 My boys are fans of all things Disney – from Mickey Mouse to Star Wars – so I knew that it would be an amazing experience. And it was! 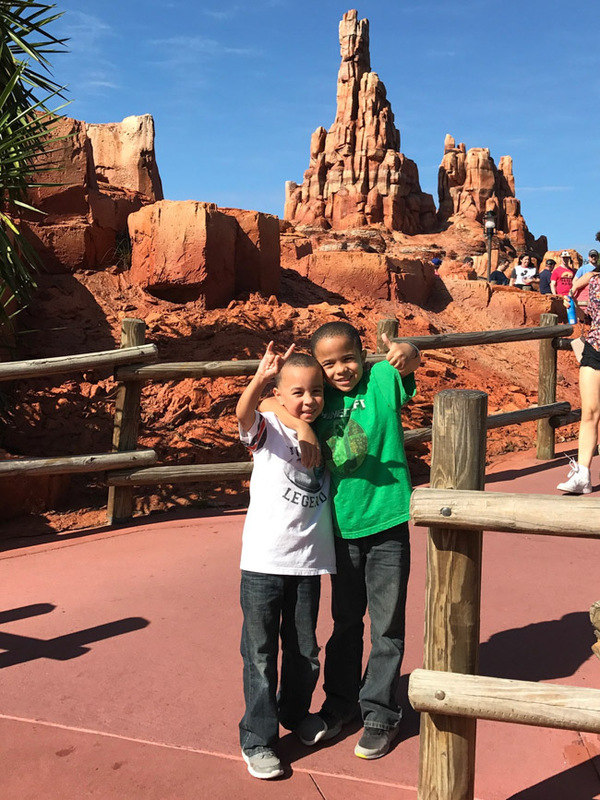 And since my kids are still young – at ages 7, 6 and 1 – I thought I would share our thoughts and experiences visiting the Walt Disney World® Theme Parks with young kids and our tips for navigating and making the most of your trip! Take them now. 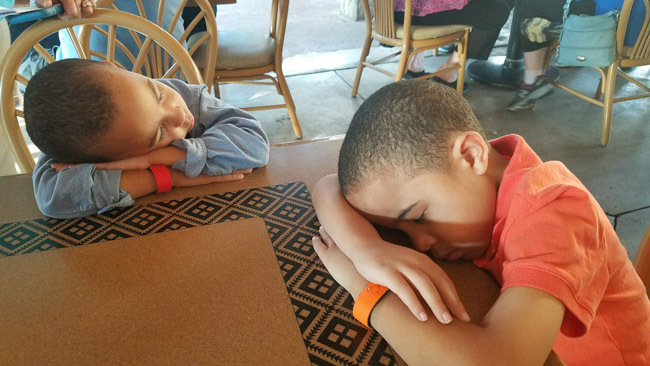 My first tip is if you are waiting until your kids are older because you’re just not sure if they’re ready for a trip to Walt Disney World® Resort, DON’T! The time is now. There is just nothing like seeing the magic of Disney in young children’s eyes to make the parks magical for you all over again. At 6 and 7, Alex and AJ were fully aware of what was going on around them. 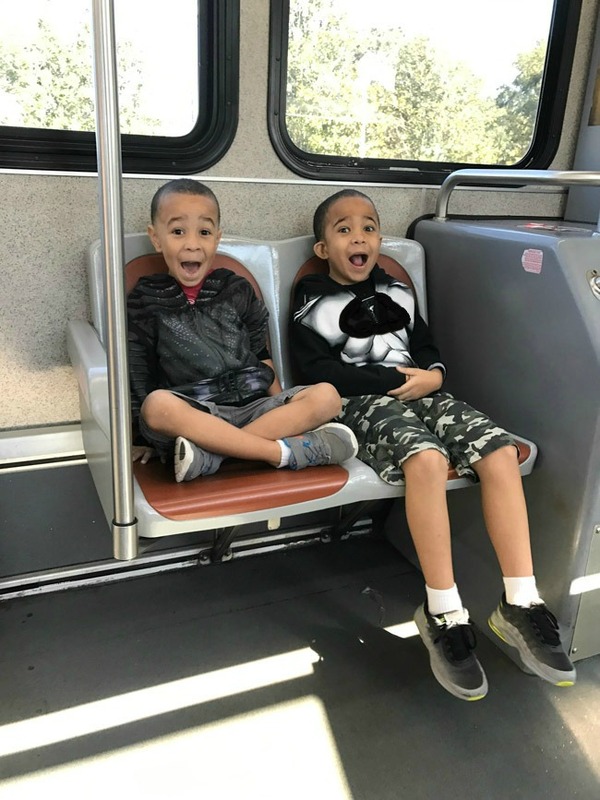 They were excited about seeing their favorite characters, riding many of the rides and seeing the shows. It’s the perfect time for them to make connections from some of their favorite Disney movies to the rides and attractions at the parks. 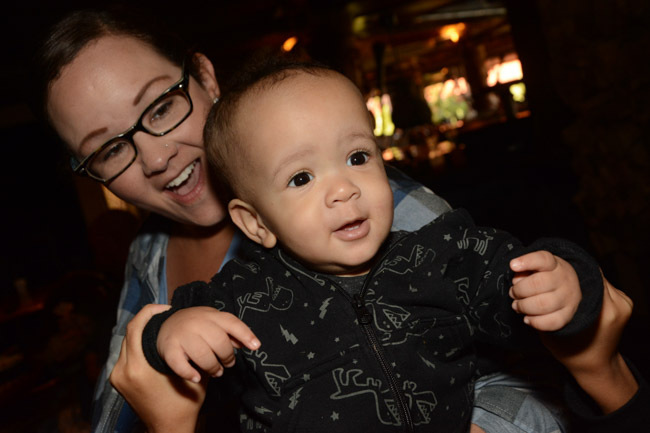 But I have to say that some of my favorite moments during our trip was seeing our 1-year old Adrian’s reactions. He was enthralled by the characters. At each of the character dining opportunities he would light up when they would visit our tables. 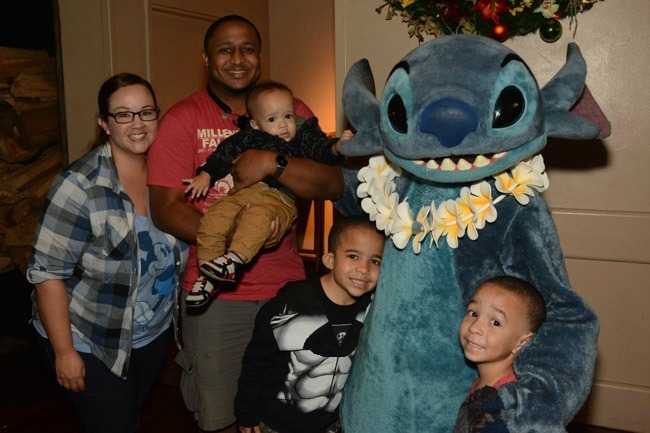 He was particularly taken by The Beast at Be Our Guest Restaurant, Mickey Mouse at both Tusker House and ‘Ohana restaurants, and of course he loved Lilo and Stitch at ‘Ohana too. Those memories will be forever etched in our mind and I just keep thinking how we would have missed that had we thought that Adrian was too young to come along on the adventure. 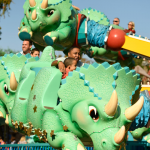 If you haven’t already, discover our Favorite Family Friendly Rides at Walt Disney World® Resort! Plan ahead. My next tip is to take advantage of My Disney Experience! Some of our favorite experiences at the Walt Disney World® Resort were Character Dining and special attractions. You can use the My Disney Experience app to do research on which restaurants offer Character Dining and make reservations on the spot! A lot of locations fill up quickly, but my advice would be to keep checking especially as you get closer to your vacation so you can snag any last-minute cancellations! 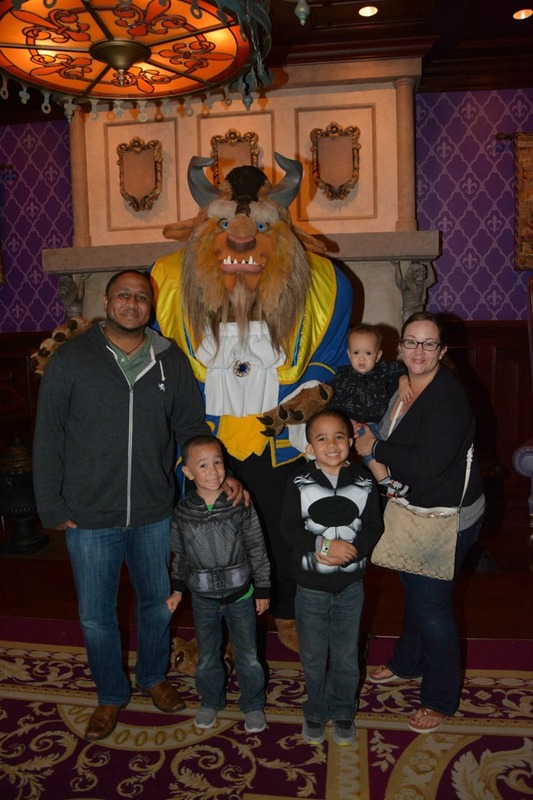 You can also use My Disney Experience to discover attractions and character experiences your little ones might enjoy. 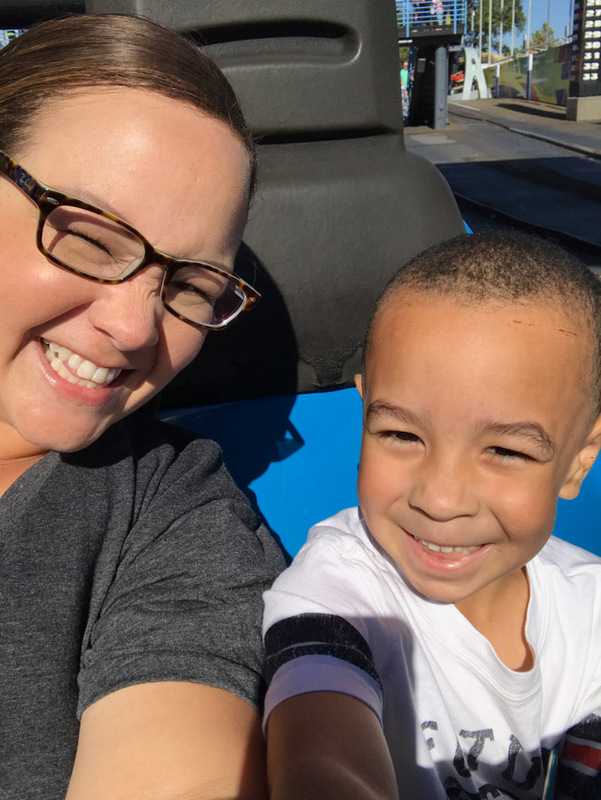 You can add these experiences to your plan so you can chart out just what you want your days at the parks to look like. I think this is key with the little ones so that you can be sure to hit all of important aspects of the parks and also plan “downtime” in between. Because we know with kids, that downtime is important both for them and for us parents! Use Disney FastPass+. This service is fantastic for little ones! With FastPass+ you can reserve access to FastPass+ attractions and entertainment for each day that you have a valid theme park ticket linked to your My Disney Experience account! Again, this ensures you can hit what you think will be highlights for your kids in each park and set your mind at ease. Use Rider Switch. This was probably my favorite park feature. Since Adrian is only 1, there were a number of rides that he wasn’t able to go on. But again, this shouldn’t deter you from the park because there is the magic of Rider Switch available at select attractions! With Rider Switch, Andre was able to go on a ride with the older boys and grab a Rider Switch pass for me while I waited with Adrian so that when they were done I was able to go through the Fast Pass line with much less wait. It really makes it convenient for parents with little ones to still be able to enjoy all that the park has to offer. Stay at a Walt Disney World® Resort Hotel. 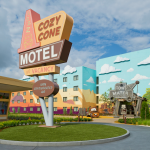 There are so many options for staying at Walt Disney World® Resort! And while the experience of staying at a hotel simply adds to the magic of your adventure, I would say that the convenience it offers when you have little ones makes it worth every penny! 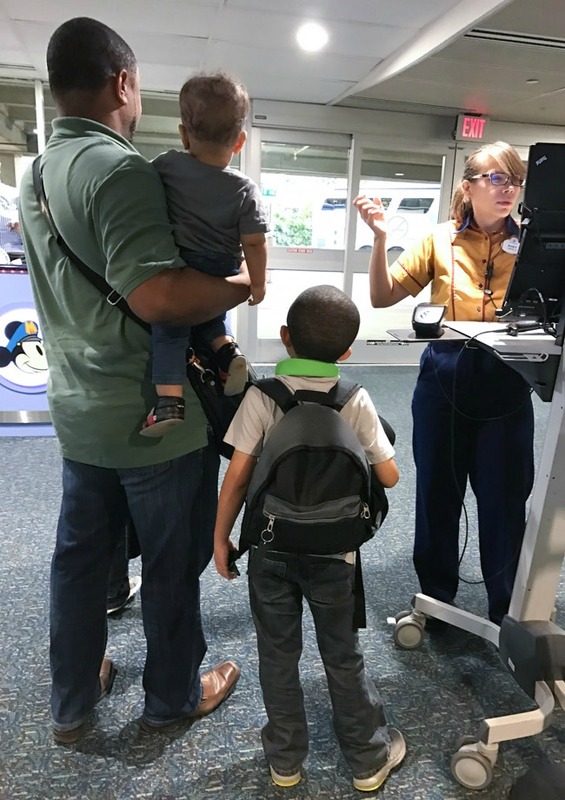 Starting with Disney’s Magical Express® Transportation, you and your family (and all your luggage) are effortlessly transported from the airport to your hotel. Then once at the resort you have access t0 complimentary transportation between the parks and hotels. With kids this is key! I love how easy it is to simply take a bus, monorail or waterway back to your hotel if the kids (or you) need to rest. Staying at the hotel also allows you to enjoy Extra Magic Hours, where Disney Resort hotel guests can enjoy even more time with their little ones with extended hours in a select park every day. We took advantage of these times to navigate the park with the little ones with ease. And don’t forget resort childcare! 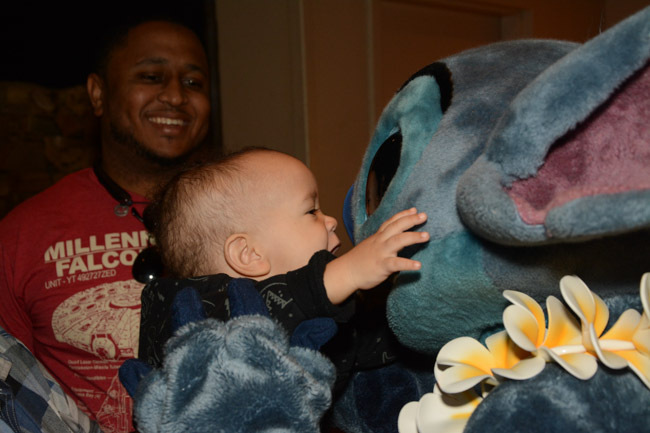 Kid’s Nite Out offers in-room childcare and select Deluxe Resorts even have fun-filled Children’s Activity Centers. Find Baby Care Centers. 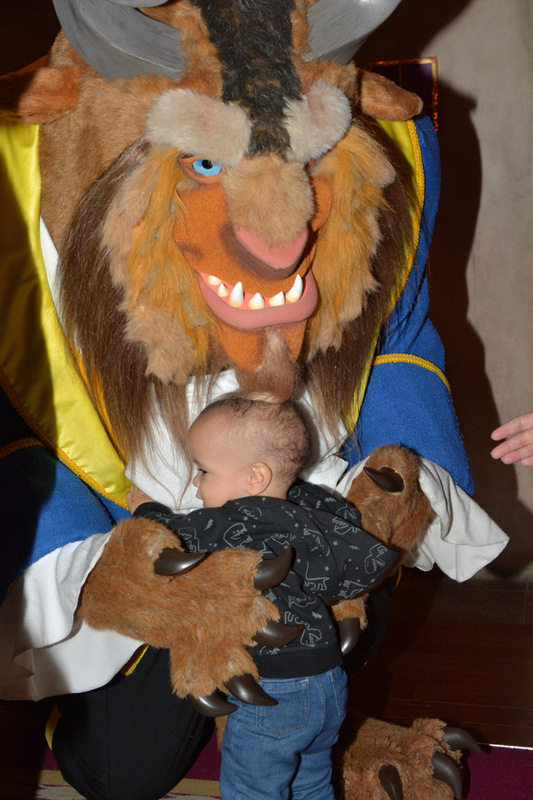 If you have an infant like we did, be sure to locate the Baby Care Centers available across all four Theme Parks. Open during regular park hours, each full-service facility is complimentary to use and includes a private nursing room, changing room with tables, feeding areas and more! And if you happened to forget (or run out of) something for baby, there is an on-site shop offering formula, baby food, juice, diapers, wipes, sunscreen, over-the-counter medications and clothing for purchase! So there you have it! 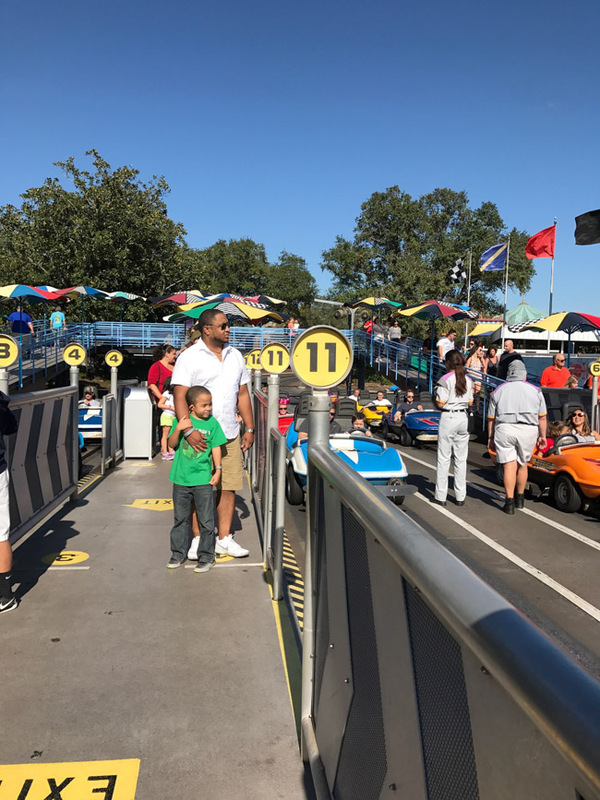 I hope that you find these Tips for Taking Young Kids to Walt Disney World® Resort helpful in planning your next Disney adventure! If you’re looking for the highlights from our trip, be sure to check out our Top 10 Experiences atWalt Disney World® Resort! It truly was a magical time for the entire family and I know that we’ve made memories for a lifetime.